CFRI’s signature Gala event will take place at an extraordinary estate above Los Gatos, CA. 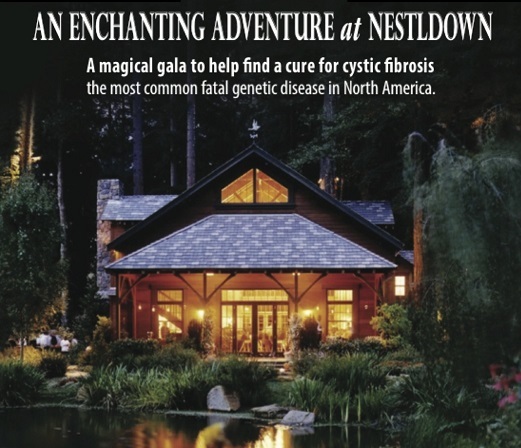 Merriment will abound for the 160 attendees, united in their commitment to cystic fibrosis (CF) research and services as well as their enjoyment of gourmet food and fine wine. Be inspired by a story of courage from a member of the CF community. We are honoring Paul Mohabir, MD, Adult CF Center Director at Stanford, as CFRI’s 2018 CF Champion. There will be a special musical performance by IndiviDuo, who will be premiering a song co-written by a member of the CF community. Mark your calendars for this very special opportunity to support CFRI in a spectacular venue, and help find a cure for those impacted by CF, the most common fatal genetic disease in the U.S.
Sponsorships available. Please contact Tony Adessa, CFRI Development Manager, at tadessa@cfri.org or 650.665.7586. All guests must be at least 21 years old to attend. Individuals with CF must adhere to CFRI’s specific Gala Cross Infection Control Policy and related procedures, which include time-sensitive medical and liability release forms. As part of these procedures, individuals with CF must complete a sputum culture or if post-transplant a nasal swab or bronchoscopy between August 18 and September 22, 2018. If you cannot attend this event but would like to make a donation in honor of someone, please click here.